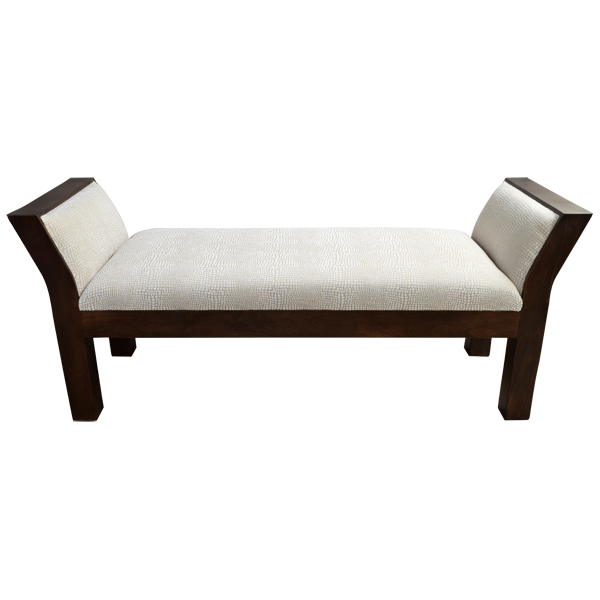 This graceful, handcrafted bench will be a wonderful addition to the décor of your bedroom or your entryway. The lateral ends of the bench are enhanced with tall, curved, solid wood armrests, and the inside of the padded armrests are upholstered with exquisite, white, textured, fine fabric. The seat is well padded for extra comfort, and it is upholstered with matching, white, fine fabric. The junctions of the upholstery are double stitched together for extra strength and durability. The seat rest on a solid wood base, and the bench is supported by straight, square cut legs. 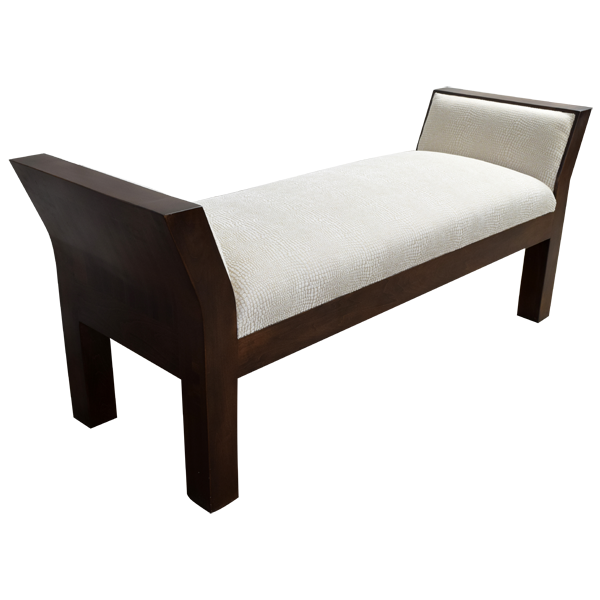 The bench has a gorgeous, dark finish, and it is made with the best, sustainable, solid wood available. It is 100% customizable.